Barbados is considered as the ‘Little England’ of the Caribbean. In this part of the world, locals have given up their rotis for kidney pies and rum for bitter ale. The islanders call themselves Bajans and are as West Indian as any of their Caribbean neighbors. The Bajans have selectively borrowed English customs. The best time to go to Barbados is during the cool and dry months of late winter and early spring (December through May). However, mid-December to mid-April is the peak tourist season. It is at this time that the prices are higher and hotels are most crowded. In Barbados, great resorts are the major attractions for tourists in terms of size, intimacy, amenities, and price. Besides, golfers can choose from among some of the best championship courses in the Caribbean. Food is also very delicious in Barbados. Great food includes all kinds of food from street-party barbecue to international cuisine which rivals the finest dining in the Caribbean. There is also a variety of land and water sports, sightseeing options and nightlife. Some of the best beaches of Barbados where tourists can enjoy themselves are the East Coast, Barclays Park, Bathsheba/Cattlewash, South Coast, Accra Beach, Carlisle Bay, Crane Beach, Miami Beach, Sandy Beach, Silver Sands-Silver Rock Beach, West Coast, Brighton Beach, Mullins Beach, and Paynes Bay. Diving and snorkeling are the most enjoyable outdoor activities. 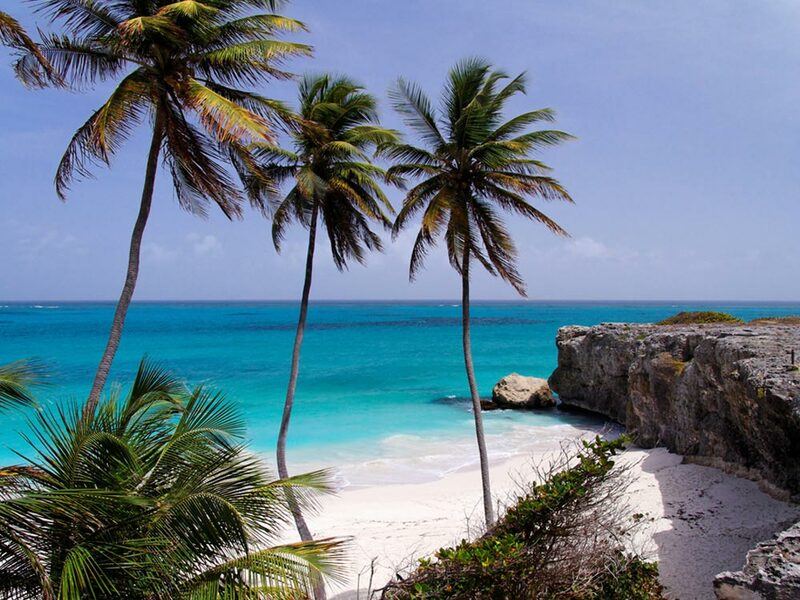 Broad sandy beaches, craggy cliffs, and picturesque coves make up the coastline while the rest of Barbados is filled with forested hills and gullies and large acres of sugarcane. Other tourist attractions are mainly concentrated on the west coast in St. James and St. Peter parishes (appropriately dubbed the Platinum Coast) and on the south coast in Christ Church Parish. If you travel along the west coast to the historic Holetown, the site of the first British settlement, and continue to the northern city of Speightstown you can find some posh beachfront resorts, luxurious private villas, and fine restaurants enveloped by lush gardens and tropical foliage. The trendy and more commercial south coast offers more competitively priced hotels and beach resorts and the St. Lawrence Gap area is jam-packed with shops, restaurants, and nightlife. The remaining wide-open spaces along the southeast coast appear ripe for development, and some wonderful inns and hotels have already taken advantage of the beautiful ocean vistas. 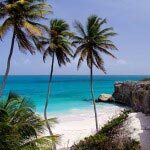 In all, Barbados is a sophisticated tropical island with a rich history and lodging to suit every taste. to Barbados through cruise ships tourists are warned of rough waters and coral reefs but still ship travel is an option, and boats are permitted to come into one of two major ports. While in boats, visitors can explore the island and its waters in though those on the island will not be able to charter their own ship. Just for its size, Barbados boasts a large international airport with dozens of flights arriving in the high season from both UK and Canada as well as the United States. Buses ply from near the airport up the coast to Bridgetown. However, taxis are most convenient to reach your nearest hotel. In this country, three levels of public transportation currently operate. Many of these vehicles generally start from the capital Bridgetown or from Speightstown in the northern part of the island. The first mode of transport are privately owned ‘route taxis’ called “ZR’s” (pronounced “Zed-Rs”). These ‘route taxis’ or mini-vans in Barbados travel to most points on the island. They are the most common form of public transportation in Barbados. These vans are seen most often. They are white or off-white in color with a dark-maroon colored ban around the outside of the vehicle. They also feature a black circle in the middle of the ban on the front of the van with a large trip route number clearly displayed in silver or white. Most of the time they are over-crowded. These vans often take the more scenic routes to destinations. The ZR’s play heavy-bass music or have a musical car-horn to make them attractive to the tourists. The second and third form of road transportation are buses which are also common in various parts of Barbados. Buses run seven days a week (though less frequently on Sundays), and a ride on any of them costs $1.50 BDS. The smaller buses known as “minibuses” are yellow in color with a small blue colored ban around the outside of the vehicle. These minibuses along with the ZR’s are both privately owned systems of transport in Barbados. Large blue buses with the yellow ban around the outside of the vehicle also run in Barbados. You may also use shuttle services. Some hotels have got their own shuttles which take you to your required places. Taxis-on-hire are a bit expensive. Private taxis are also available across Barbados. They will generally carry you door-to-door, but they tend to cost more depending on where you’re going. You may also travel via car. Car rentals are available if somebody has a proper license. There are several locally owned and operated vehicle rental agencies in Barbados. 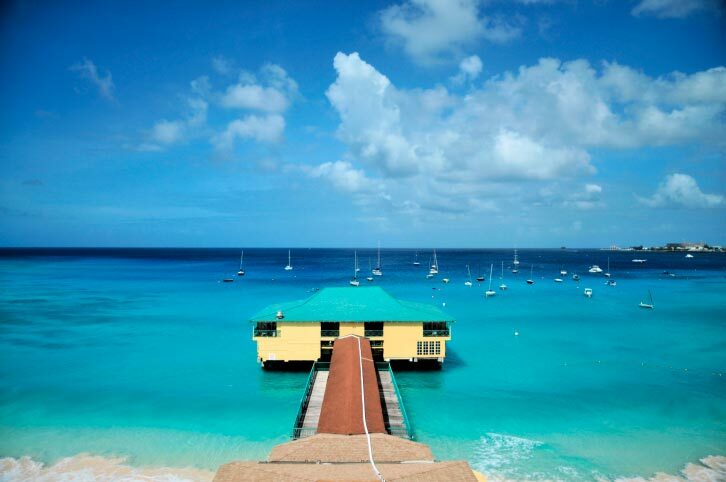 Boating to/from or around Barbados requires following all the International and local laws. However, laws protect the coral reefs, and therefore, boaters should be aware not to drop their anchors outside the areas approved by the government of Barbados. Merchant fleet is also present. The rail system itself and its infrastructure no longer exists in Barbados. So, railways are not an option for travelers coming to the country. Barbados is the top selling Caribbean island when it comes to entertainment and leisure in Barbados. Because of the perfect mixture of beautiful beaches, high standard of sport, culture/history, and a variety of evening entertainment, Barbados can be called the hub of entertainment. Among all the islands in the vicinity, Barbados is the most vibrant and colorful. The whole island comes out to party during the Crop Over season. It is at this time that the island becomes filled with color and music. Since in Barbados most of the hotels are situated on the south coast that touches the calm Caribbean sea, tourists can take advantage of some of the best beaches of the country. If somebody is close to St. Lawrence Gap where most of the evening entertainment and restaurants are located, one is sure to get the real picture of entertainment and leisure in Barbados. In this part, the coastline varies greatly with the contrast of the flat golden beaches on the west to the rugged coast on the East, which meets the Atlantic Ocean. Among the most awaited source of entertainment and leisure in Barbados is sports. Sports is played all year round in Barbados. Whether one wants fixtures against schools, clubs or universities, arranging fixtures is never a problem in Barbados. Sports in Barbados is taken very seriously. Therefore, tourists can find that in all sports, the opposing teams are very competitive. The native Bajans are proud of the sport facilities of their country. The Sir Garfield Sobers sports complex is a hive of activity catering to games such as hockey, swimming, basketball and soon to be soccer and cricket. Cricket is the master sport in Barbados and played extensively around the island. Shopping also falls within the ambit of entertainment and leisure in Barbados. Broad Street in the capital city of Bridgetown is the best place to shop as several large departmental stores and duty free shops are available here. Prices are generally high but the goods available are excellent. Tourists can also buy from street vendors.